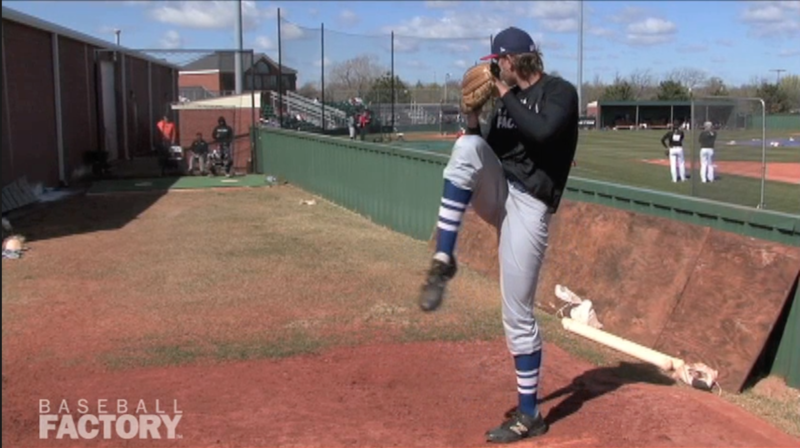 A high school pitcher that has three quality pitches – all of which he throws for strikes, is a fairly rare commodity. When that pitcher is left-handed and stands 6’9” tall, you have a truly unique prospect named Mitchell Stone. 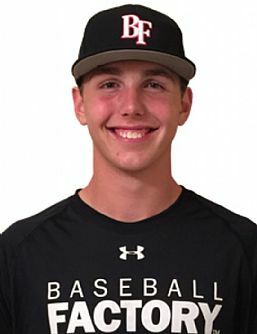 Stone has the uncanny ability, for a pitcher of his size, to repeat his delivery extremely well allowing him to command his stuff at an advanced level. At the March 2016 Under Armour Baseball Factory College PREP event in Oklahoma City, we got a first-hand look at why Stone is so special. His arm works very well with quickness out front and good finish to all of his pitches. His 3-pitch mix includes the standard fastball, curve and circle change, all thrown from a high ¾ slot. As you would expect there is outstanding plane to all of his pitches, especially his fastball that sits comfortably in the upper 80s – creeping into the low 90s at times. Stone’s curve has sharp, late break to it and acts as his out-pitch. It has very good depth and he does an excellent job of living down in the zone – even missing out of the zone low to induce a swinging K. His change is also a polished offering with fastball arm speed and late tailing action. Mitchell has followed the progression that you like to see from young pitchers. He established his balanced, repeatable delivery and the ability to throw his fastball for strikes first. Next he has developed two quality off-speed offerings. Throughout his development, he has thrown strikes and gotten hitters out. The final piece has been the velocity, as that has increased a few miles per hour each of the last few years. With his frame and the way his arm works, we would expect the velo to continue to climb. 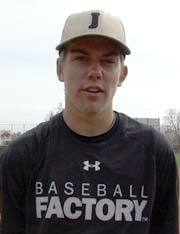 In the meantime, Mitchell has spent his junior season at Deer Creek HS in Edmond, OK dominating hitters. He is 7-1 with a 0.70 ERA and 77 strike outs in 50 innings pitched. It’s no surprise that opposing hitters are batting a measly .136 against him. What may be surprising is just how athletic the big lefty is, as evidenced by his 8 doubles and 4 home runs as a hitter. Adding in the athleticism to the impressive array of talents that Stone possesses and you have one of the highest ceiling prospects in the 2017 class. Stone has officially been announced as among the next seven selected on May 19.